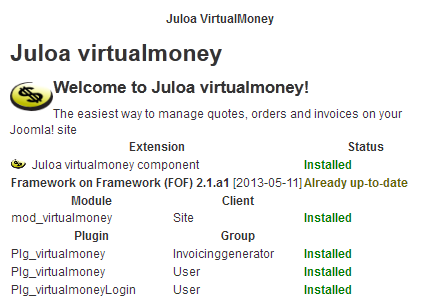 The VirtualMoney component can be installed on Joomla versions 1.5, 2.5 and 3.0. The installation is done the same way on all versions. Click on "Buy" in the menu at the top of this page and click the VirtualMoney column to access the registration and order form. 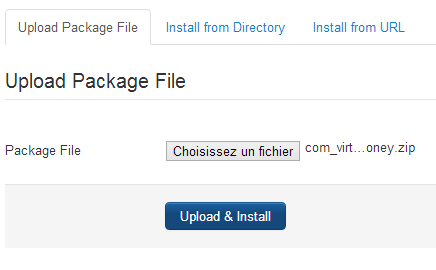 Once VirtualMoney has been purchased and downloaded, you can install it like any other Joomla component. To access the zip folder of VirtualMoney, you need to unzip the file you just download, the component will be inside it.